1. Blend the beans, tatashe or tomato puree, onions, crayfish, habanero pepper and ground nutmeg together with some of the water and pour the mix into a big enough bowl. 2. Add the vegetable oil and the bone marrow stock (if this is what you have chosen to add to your moi moi). 3. Slowly add the remaining water and stir the mixture at the same time till you get a good mix of all the ingredients. 4. Add salt to taste and stir very well. 5. Pad the base of a big pot, pour some water and set on the stove. The depth of the water should be at most 1 inch. 6. Dish the Moi moi mix into containers of your choice, add egg/bone marrow/corned beef to each container, seal/cover and set them in the pot. 7. Add as small quantity of water as possible at a time while cooking the Moi Moi as detailed in preparation and use of moi moi containers so that the moi moi will not become watery when done. This is the case especially when using aluminium foil or uma leaves. 8. The length of time you will cook your Moi Moi depends on the quantity and the Moi Moi container you used. 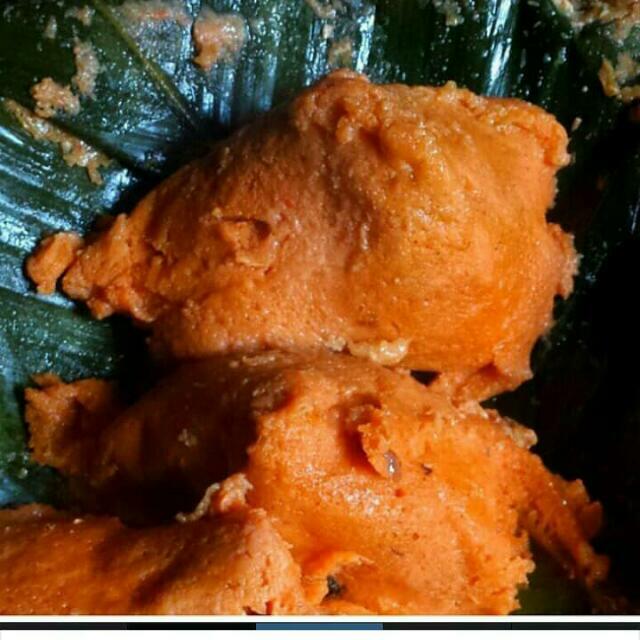 But whatever Moi Moi container you use, it is advisable to cook your Moi Moi for at least 1 hour, before checking it. Confirm that it is done by putting a knife through it, if the knife is stained with Moi Moi paste, then the Moi Moi is not done, but if the knife just has a slight smear of Moi Moi, then it's done. Also, when you cut through the Moi Moi, the insides will be set and not watery. Serve with chilled fruit juice or coconut juice. You can also serve with Peppered Fish and as a side dish to Jollof Rice, Fried Rice or Fried Plantains. For breakfast, serve with Custard or Akamu (Pap, Ogi).